No matter how far you’re going, a household move can put a lot of stress on your family—but you don’t have to face all that stress alone! By working with the Buffalo Grove movers of Pickens-Kane, you’ll have a team of industry-certified experts by your side, guiding your relocation from door to door and eliminating the hassle from your moving journey. With more than 100 years of experience behind us, our professional movers know exactly what to do to make your journey simple and stress-free. It’s no secret that both commercial and residential moving can be tough, but it’s something that most families and businesses have to do eventually. If your time to move has come, make it as easy as possible by trusting it to us at Pickens-Kane! Beyond our century of experience, we’re also a certified member of Allied Worldwide, giving us access to some of the best moving technology and most professional partners anywhere in the world. With our dedicated customer service and the added benefit of Allied Van Lines, there’s no limit to the help we can give you! Local Moving: The Chicago area can be a minefield of traffic, road closures, and inclement weather—but that’s no match for our skilled local moving crews! 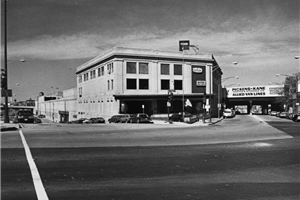 Interstate Moving: We employ highly trained movers and boast some of the cleanest, most modern moving vehicles. We’ll make your state-to-state move simple. Residential Moving: Whether you’re moving a cozy townhome or a five-bedroom house, we have the resources for affordable and reliable residential moving. Apartment Moving: Keep your belongings safe and damage-free when you put them in the hands of our top-notch apartment movers. Moving and Storage: As local specialists in both moving and storage, we can safeguard your valuable property in our climate-controlled facility spanning more than 1 million square feet! 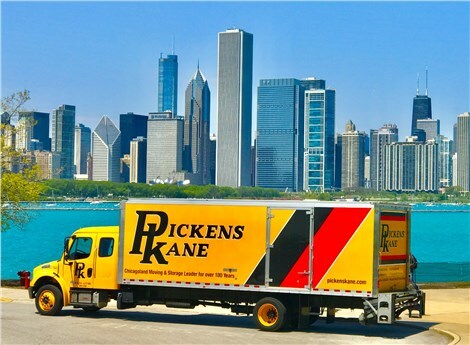 Across Buffalo Grove, there’s only one provider to trust with your next relocation: Pickens-Kane. Find out why our experienced Chicago moving company leads the industry by reaching out to us today! Call or complete our quick online form to get started with your free in-home moving quote.